32-year-old Ben Kurstin, of Humboldt Park, Chicago, has 8,816 dime bags in his apartment, but he’s no drug dealer. 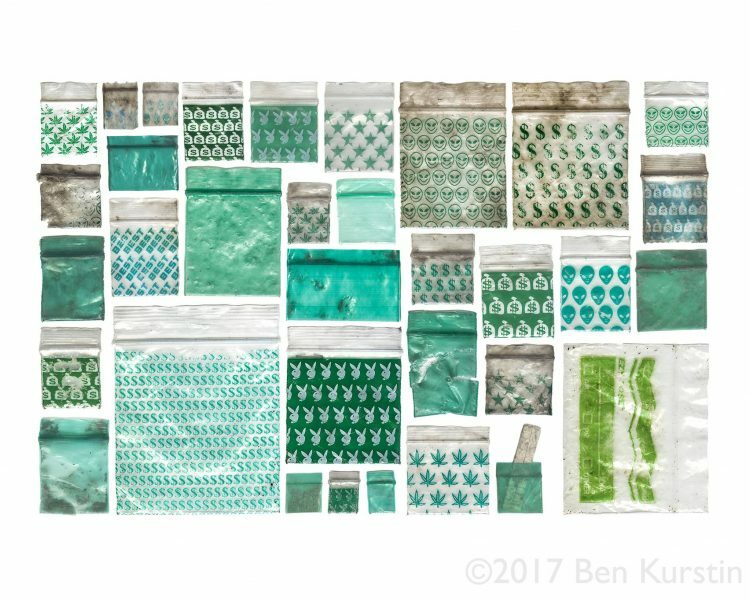 The aspiring artist and filmmaker has been collecting drug bags in virtually every color and design imaginable off the streets of Chicago and using them as an art medium. 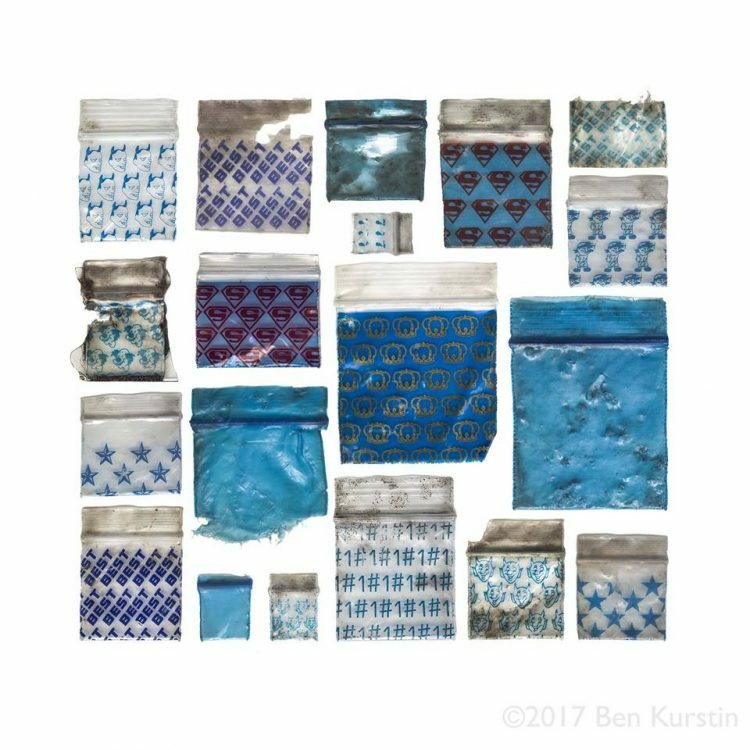 It all started one day, a couple of years ago, when Ben Kurstin noticed a discarded dime bag on a sidewalk in Humboldt Park, and decided to pick it up out of curiosity. From that point on, whenever he saw drug bags on the street, he would pick them up and take them home. Soon, his unusual habit became an obsession, to the point where he would search for the bags and come home with dozens , sometimes even hundreds of them, every day. He then spent hours cleaning and organizing them by color and design. At one point, he even started thinking of a rational explanation, should police one day stop him, thinking he was a drug dealer. “I was getting ready to talk to the police if I was stopped. If you walk up to someone with a bunch of drug bags and they say they’re turning them into mosaics, you probably wouldn’t believe it,” Kurstin told DNA Info. But he was never stopped by police, or anyone else for that matter. People who saw him picking up drug bags off the street just shot him a confused glance and look the other way. His bag collecting obsession did get him in trouble one day, as a gang of teenage kids saw him walking in Humboldt Park with a handful of dime bags and attacked him. He got a concussion out of it, but after a week’s recovery, he was right back on the streets looking for more dime bags. With such a sizable collection at his disposal, Ben started thinking of how to best use the bags. 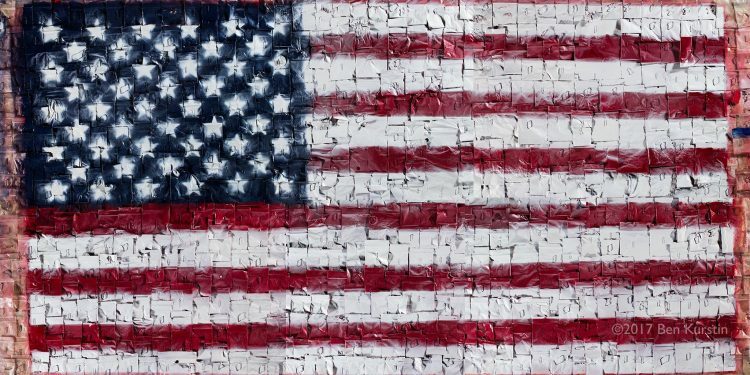 He settled on mosaics, using the many different colors and designs to create large scale artworks, like an American flag and a portrait of President Richard Nixon, who popularized the phrase, “War on Drugs.” He’s hoping to sell some of his works and display the rest in art galleries, but his main goal now is to highlight Chicago’s drug problem and the ineffectiveness of America’s War on Drugs. 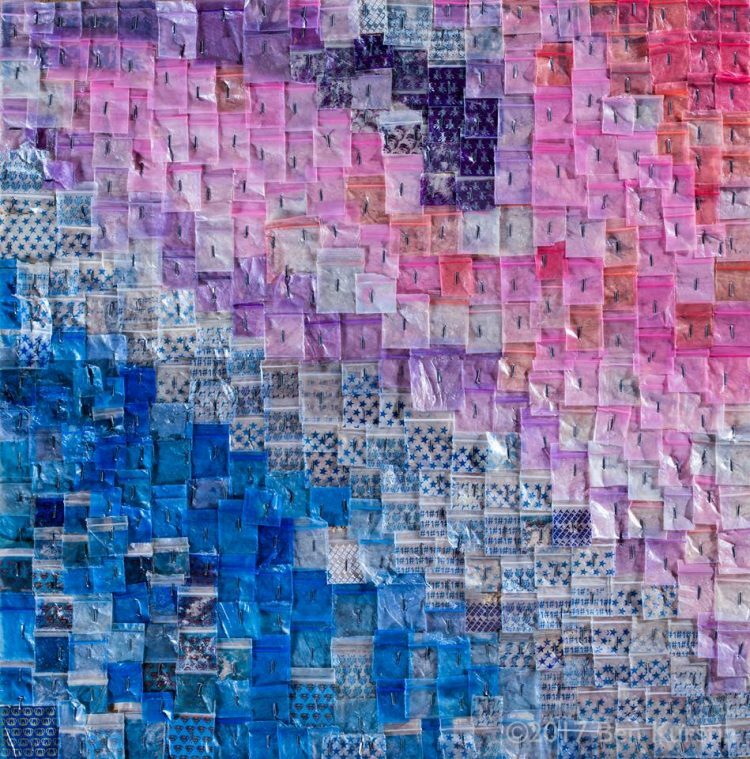 After spending the last two years hoarding discarded drug bags and turning them into colorful mosaics, Ben Kurstin is finally ready to look for a new hobby. He just hopes he’s strong enough to beat his obsession with them. “After a couple years of doing this, I’m very tired. If I see one, I’ll pick it up just so it doesn’t end up in a kid’s hand or a dog’s mouth or going into the sewer and getting into the water,” he said. You can see more of Kurstin’s drug bag mosaics on his website.